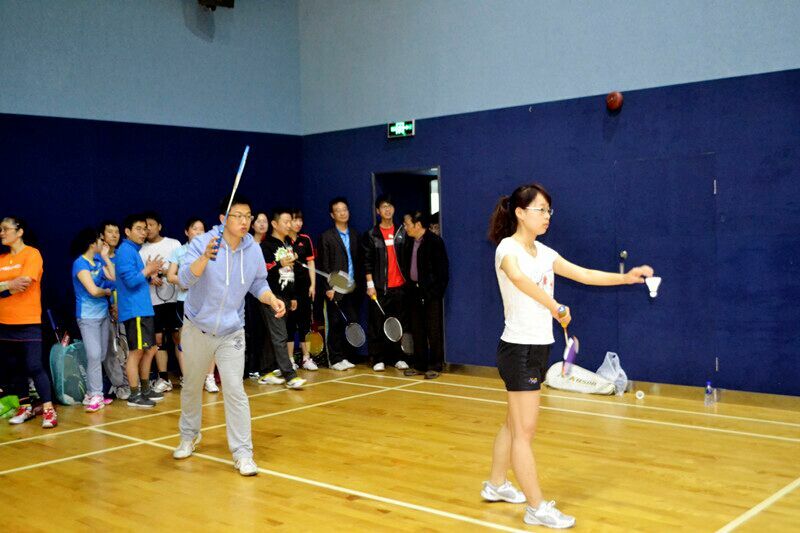 The badminton competition with the theme I participate to win health and pleasure held by Pudong New District Jinqiao Development Zone was completed at Pinghe International School, where over 200 contestants from 39 enterprises and public institutes at 7 industrial zones played excellently for the people fond of badminton in Shanghai. It’s reported this competition has been kicking off for several years and deeply loved and expected by employees from enterprises. Zenith has been invited many years where 6 top badminton lovers joined the competition this time. The contestants displayed an excellent competition situation. The severely competitive competition showed the high level and pleasure. Contestants from various teams shared experience on badminton under the stage. The contestants full of cooperation and care show the contestants in competition and friendship under the stage. Teams from Zenith came to the top 16 after the single competition in teams and culling without the chance in final competition . It’s noted by the superintendent of the competition from Zenith that, as one of the traditional sports events and people-wide body-building activities in Jinqiao Development Zone, the competition promotes the mutual responsibilities of people-wide body-building. As the meaning of theme I participate to win health and pleasure, the result does not matter, yet a healthy and happy life is the objective of the competition.